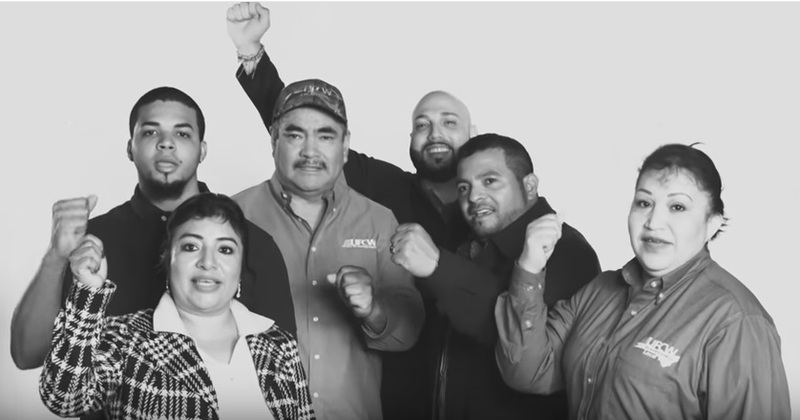 On March 9, the UFCW released a new ad campaign that highlights our union’s nationwide effort to help Latino workers and their families earn a better life. The Spanish-language ads, entitled “Hope” and “Difference,” premiered during the Democratic presidential debate on Univision. The ads feature eight rank-and-file UFCW members whose lives have been improved by joining the UFCW and who have been helped with immigration issues. Many of the members in the ads have been able to become U.S. citizens through the UFCW’s groundbreaking immigration program, known as the Union Citizenship Action Network (UCAN). The groundbreaking ads can be viewed here and here. In the coming weeks, as part of a national effort to highlight its role in helping workers and their families, the UFCW’s “Hope” and “Difference” campaign will include a larger grassroots effort to reach immigrant workers across the country through social media and on-the-ground outreach across multiple states. One of the critical goals of the campaign is to help the estimated 8.8 million Legal Permanent Residents in the United States become U.S. citizens. As part of the UCAN initiative, the UFCW provides union members and staff the critical tools needed to go through the naturalization process and become U.S. citizens. The UFCW has trained over 600 volunteers, including UFCW members, local union staff, community volunteers, school teachers, and members of other unions on the requirements for naturalization. In the process, the UFCW has helped over 400 members become U.S. citizens, saving members over half a million dollars in the process.